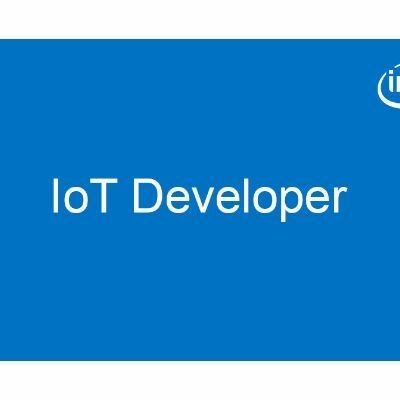 These applications are part of a series of how-to code sample exercises using the Intel® IoT Developer Kit, Intel® IoT Gateway, Intel® Edison board, cloud platforms, APIs, and other technologies, and are designed for anyone interested in learning IoT development. A complete list of these Python* code sample titles is provided below, along with their links to instructions and code. Connect the Intel® IoT Gateway or Intel® Edison board, computing platforms designed for prototyping and producing IoT computing products. Interface with the Arduino 101* (branded Genuino 101* outside the U.S.) IO or Intel® Edison board and sensor repository using MRAA and UPM from the Intel® IoT Developer Kit, a complete hardware and software solution to help developers explore the IoT and implement innovative projects. Set up a MQTT-based server using Microsoft Azure*, IBM Bluemix*, Amazon Web Services (AWS)*, different cloud machine to machine messaging services based on the industry standard MQTT protocol. Invoke the services of APIs including Twilio* for sending text messages, the United States Geological Survey (USGS) for accessing earthquake data, and Weather Underground* for accessing weather data. Where to find the digit subscription code? Is it good deciaion to but Samsung S7 in 25000INR Nov-17?